Real change doesn’t happen overnight. Rather, it’s cultivated through years of careful planning and thorough execution. 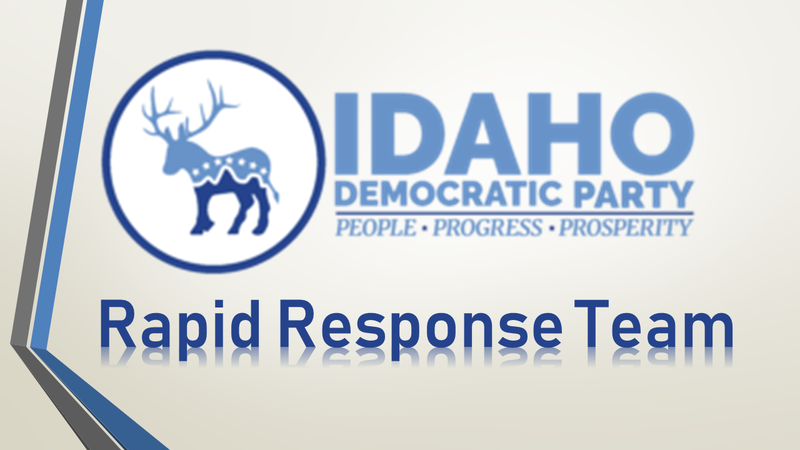 To achieve this needed change, the Idaho Democrats have created a Rapid Response Team. Formed in the aftermath of the 2016 elections, the Rapid Response Team is a group of dedicated and diligent volunteers who meet once a week to call voters around the state. “We make phone calls for whatever’s going on in the state legislature at the time,” says Aryan Parthor, Director of Operations of the Idaho Democratic Party. The team responded to publicly funding Pre-K education and Medicaid Expansion. They will soon start calling Idaho legislators about the financial disclosure bill. The phone banks are held Tuesday and Wednesday evenings at the Idaho Democratic Party headquarters in Boise. Until the phone banks are expanded to different parts of the state, a link is emailed out every Monday to the phone bank for remote responders. These phone banks give us a voice and an outlet for those of us ready to see change in Idaho. 2018 is a year full of hope, promise, and opportunity. We cannot squander it. Join the Rapid Response Team. Help us create change in Idaho. To get started, contact Aryan Parthor aryan@idahodems.org today.